⊙ The fresher the fruit, the better the smoothie. ⊙ Banana smoothies don't store well (as it turns black faster), hence drink it up all! 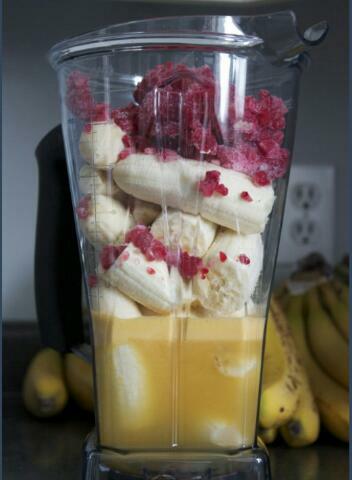 ⊙ Freeze the fruit before using if you like your smoothies icy. ⊙ Kiwis, mangoes, papayas, and all other fruits blend well with bananas. ⊙ Should you wish to add ice cream to your smoothie, do so, because it gives the smoothie a good taste. ⊙ If you don't want to use regular milk, try almond milk! It's delicious, acts as a natural sweetener, and has fewer calories. See Health benefits of bananas. ➥ Place the fruit in the blender. Peel the banana, break it into chunks, and place it inside. Wash the strawberries and blueberries, then add those as well. ➥ Add the juice, yogurt, and sugar. Pour in the orange juice and scoop in the yogurt. Add the sugar if you like your smoothies on the sweeter side. ➥ Top it off with ice. Fill up the rest of the blender with cubed or crushed ice. ➥ Blend the ingredients. Put the lid on the blender. 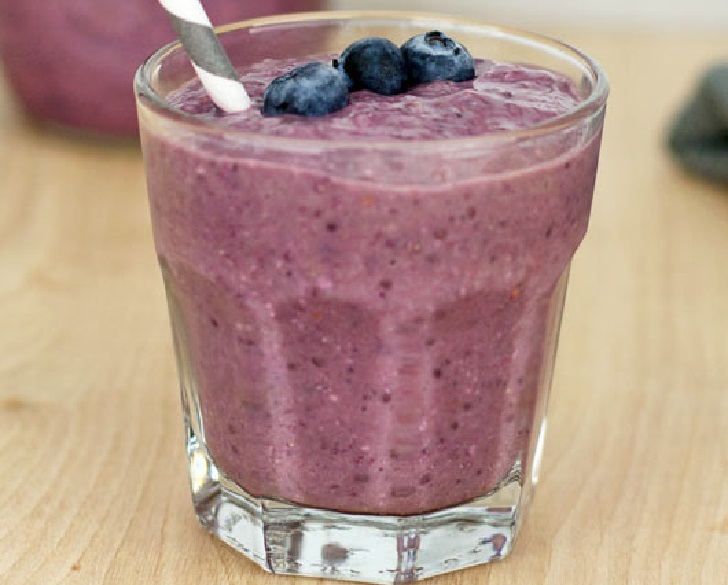 ➥ Use the pulse feature to help grind up the ice, then blend the smoothie to your desired consistency. ➥ The presence of the berries will cause it to turn a lovely shade of red. Serve the smoothie. Pour it into a clear glass and serve.